Actuaries perform complex calculations to determine the likelihood of various outcomes related to accidents, illnesses, consumer demand, and investments. They utilize specialized computer software to crunch numbers and generate tables, graphs, and reports regarding their findings. An actuary is one of the top jobs for graduates who major in mathematics. Actuaries present this statistical information to insurance executives, marketing managers, underwriters, investment bankers, and pension directors to support their decisions about the pricing of insurance policies, product development/marketing planning, stock offerings, and investment choices. The actuarial data they generate is essential for the successful enterprise risk management efforts of companies, which must continually modify their business, research and development, and marketing operations to control their overall financial risk exposure and ensure the stability of their business operations. Explain proposals and findings to various parties, from company executives to clients, shareholders, and government officials. The majority of actuaries work for companies dealing with life, health, property, and casualty insurance. Others work for pension companies, consulting firms, or government agencies. Many actuaries move into management or executive positions where they direct and supervise work units. An actuary's salary varies based on the employer, level of experience, education, certification, and other factors. Actuaries need at least a bachelor's degree in a math-related field, and a strong aptitude with numbers. College Degree: Most actuaries acquire a bachelor's degree in mathematics, actuarial science, or business. Coursework in statistics, economics, computer science, calculus, and corporate finance provide an excellent foundation for actuarial exams and entry-level jobs. Internships: To maximize their potential to land a fulfilling entry-level job as an actuary, college students should also try to perform at least one internship where they can work in partnership with experienced actuaries. Actuary internships are typically offered by major insurance companies, which often pay their interns between $15 and $22 an hour. Standard requirements for such an internship include completion of at least one actuarial exam and a GPA of 3.5 or higher. Candidates for actuarial internships are also sometimes required to have a good command of Excel and of database / statistical analyses languages such as SQL or SAS. Because actuarial science is such a specialized field, successful execution of an internship may well open doors to immediate employment after college. Certification: Actuaries can start their career as trainees without any certification. Most actuaries receive extensive mentoring, training, and release time to prepare for exams while on the job. However, for full professional status, actuaries should pursue associate- and fellow-level certification with either the Casualty Actuarial Society / CAS (for actuaries interested in the property and casualty field) or the Society of Actuaries / SOA (in order to work in the life insurance, health insurance, retirement benefits, investments, and finance industries). Once an actuary has finally become certified (after four to six years for associate certification and an additional two to three years for fellowship status), they are still required by the CAS and SOA to complete continuing education requirements. 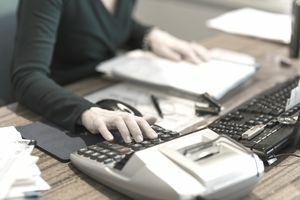 Computer skills: Using programming languages and developing spreadsheet models, databases, and statistical models is an integral part of an actuary's job. Communication and interpersonal skills: Actuaries must be able to explain complex ideas and technical data to different audiences, and have the ability to successfully lead teams and work well alongside others. Problem-solving: Individuals must be able to identify a company's risks, and develop plans for the firm to manage its risks. Math skills: The main tools used in this job to quantify risk are calculus, probability, and statistics. According to the U.S. Bureau of Labor Statistics, the outlook for actuaries over the next decade relative to other occupations and industries is much better than the average for all occupations, driven by an increasing need for personnel to help companies manage financial risk, as well as by insurance companies that need to analyze large amounts of customer data. Employment is expected to grow by about 22 percent over the next ten years, which is higher than the average growth projected for all occupations between 2016 and 2026. Growth for related mathematical science jobs is projected to grow at a higher rate, which is 28 percent over the next ten years. These growth rates compare to the projected 7 percent growth for all occupations. The number of actuaries employed is small, so even a large increase in employment translates into about 5,300 new jobs over the next decade. Typical employers include insurance companies and financial risk management groups or firms. Actuaries work mainly for insurance and finance companies, in an office setting. If working for a consulting firm, an actuary may need to travel to client offices. Most actuaries work full-time in a traditional office setting; about 30 percent work more than 40 hours a week. Visit job-search resources like Indeed.com, Monster.com, and Glassdoor.com for available positions. You can also visit the online job postings on the Society of Actuaries (SOA) site, or apply directly to insurance company job postings. Look for an opportunIty by joining and participating in an actuarial networking group through online sites such as LinkedIn. You can also check the SOA site for scheduled networking events. Get guidance by working with an experienced actuary. You can find actuary internships through the same online job search sites that list open jobs. The SOA also has listings for internships and assistant actuary positions.